Here’s some money, come see a Star War, narrated by none other than Arrested Development’s distinctive disembodied voice: Ron Howard, who also happens to have directed Lucasfilm’s forthcoming Han Solo standalone movie, Solo: A Star Wars Story. In a wonderful bit of pop cultural synergy, Lucasfilm’s YouTube series “The Star Wars Show” has delivered a video in which Howard recaps A New Hope in the style of Arrested Development, summing up the tangled Skywalker family saga just as he did the Bluths’. The stories have more in common than you’d think, including both incestuous attractions and severed hands. Howard is in top form here, comedically undercutting A New Hope’s characters and drawing some deep-cut Arrested Development parallels while also calling attention to the Star Wars series’ many inconsistencies and shamelessly plugging his own contribution to a galaxy far, far away. It’s the ideal way to gear up for Solo’s comedic exploration of Han Solo’s origins. Solo premieres at Cannes on May 15 before hitting theaters on May 25. You can watch the film’s latest trailer right here and revisit its previous teaser here. We are cautiously optimistic about it. As for Arrested Development, Netflix recently announced a “remix” of the show’s fourth season, which first streamed back in 2013. Arrested Development Season 4 Remix: Fateful Consequences, which will run 22 episodes instead of the original 15, debuts this Friday, May 4 (which happens to be Star Wars Day). Season five is coming soon, as well. 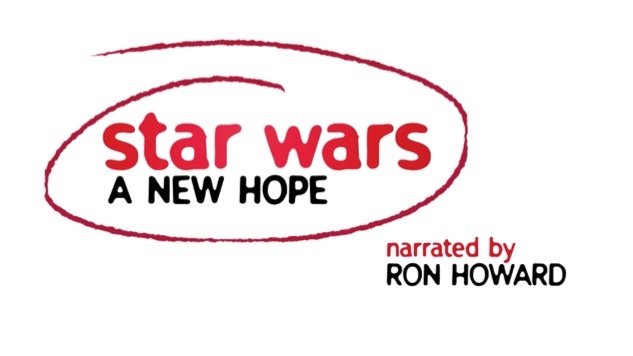 Watch “Arrested Development: Star Wars with Ron Howard!” below.